Rumors were already spread that the dead man, The Undertaker would come back to the rink to accomplish his last wish and a last unmet challenge of John Cena. Undertaker always wanted to have a one-on-one match with the John Cena. It was expected that it was going to happen in WrestleMania 33. But at the end moment, Roman Reign changed the face of the scenario. The match held between The Undertaker and Roman Reign in which Roman Reign beat Undertaker and after that, Undertaker took retirement from WWE. So, the last desired of having the match with John Cena remained unmet. What happened at WWE Raw last Monday? 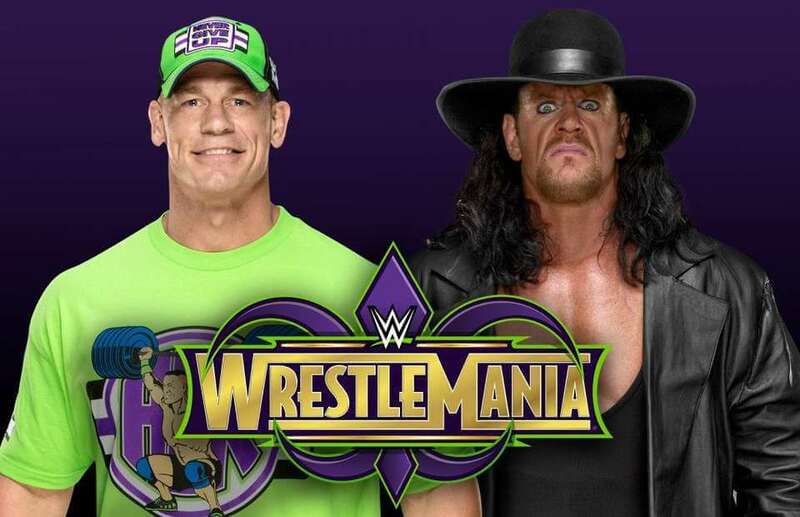 All people were very excited about the last episode of Monday Night Raw before WrestleMania as The Undertaker is expected to respond to former John Cena’s challenge. It was expected that it was going to huge melodrama and excitement in the ring. John Cena literally shouted the open challenge for The Undertaker. The WWE Universe, however, was left dumbfounded as “The Deadman” did not dish out any form of acknowledgment that he will meet Cena at the mega event, Apr. 8, at New Orleans, Louisiana. “Hey #Undertaker, it’s obvious that you left your hat in the ring, but it’s clear to everybody here that you left your balls at home!” said John Cena. “He said he all he could…and still no [email protected] will see YOU, the @WWEUniverse, THIS SUNDAY at #WrestleMania!” said WWE Universe. There is a huge history of Undertaker and he was the prominent wrestler and center of attraction till now. He also maintained a legendary streak of 21-0 which was broke by Broke Lesnar in the WrestleMania 30, in 2014. The very next year, Undertaker appeared from nowhere and broke the streak of Broke Lesnar that which was 22-0. At last year’s WrestleMania, Undertaker returned was defeated by Roman Reigns in a match that was perceived as his in-ring retirement. Also, Read: Is WWE Real or Fake?- What is the truth behind this wrestling? So, no matter whatever the case, Undertaker presence in the ring always dominated the audience. And he made secret entries and approaches so many times, that this time excitement of his possible return is very high. Even, there are rumors but the audience is still crazy about the mere fact of his return.